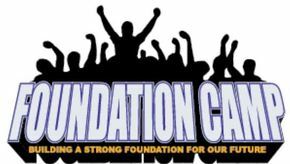 Foundation Camp, a two-week summer camp for boys ages 10 through 14. Locally managed and supported, the Foundation Camp was created through a partnership between 100 Black Men of Rome-Northwest and Georgia Highlands College. The camp was developed for boys and young men in our northwest Georgia area. The camp takes place on the Georgia Highlands College campus (Floyd Campus) and includes Athletics, Academics, Brotherhood, Self-Respect, and Higher Education. There is no charge for Foundation Camp. Absolutely FREE.